US and China will lead early 5G adoption. As a result of impressive progress made by the telecoms industry over the past six months, CCS Insight has raised its near-term forecast for 5G connections and the firm predicts that they will reach 280m in 2021. Agreement on standards, trials, deployment of chipsets and infrastructure and commitments to the technology by network operators were all determining factors that led CCS Insights to believe that 5G growth will progress on an accelerated scale. The ratification of the non-standalone specifications for 5G in late 2017 was a major milestone for the upcoming network. This development has influenced a number of telecoms in the US and Asia to target commercial 5G deployment in 2019 with some US network operators pushing for a limited scale rollout as soon as late 2018. 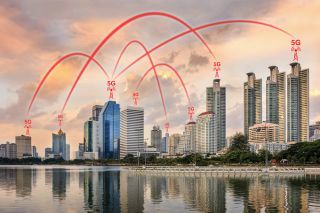 CCS Insight forecasts that total global 5G connections will reach 60m by 2020 which is 50 per cent higher than its previous forecast in 2017. The firm expects that the one billion mark will be breached in mid 2023 and that by 2025 there will be 2.7bn 5G connections. Following early launches in South Korea, Japan and the US, CCS Insight predicts that China will quickly take the lead in 5G with 100m connections in 2021 and 1bn in 2025. Although most other markets will launch commercial services by 2025, China will still account for almost four out of every 10 global 5G connections. Global 5G rollouts are fast approaching and this would not be possible without the advancements made in 2017 and early 2018.